Even before the advent of internet, journaling has always been one of the hobbies of those who love writing down their interest from how their day went to listing down their favorite foods, movies, and others. Before, just a simple notebook and pen will do, and you’re all set. However, now that technology has evolved, lots of blogging websites have also emerged on the world of internet–WordPress being one of them. Nowadays, blogs aren’t used solely for personal interests like what was stated above, but people also use blogs now as a platform for writing reviews on movies, newly-released gadgets, foods from either high class or ordinary restaurants, and places they visited. Unlike before, the use of notebook and pen are starting to decline, whereas online blogs are more accessible now to most people, may it be teens or adults. Another great thing about blogs is that you may design and decorate it however you want. This part of blogging is important since, let’s face it, some website visitors tend to notice first what your blog looks like than the actual content. Yes, website designing is complicated and most of the time, it will require you to have a knowledge in HTML and CSS for you to make your website appear how you want it to. But, you don’t have to lose heart especially if you are still planning or just starting your blog, as some blog hosts offer thousands of pre-made free and premium designs for you to choose from. Some free themes are easy to use and appears simple, so if you are a minimalist blogger, you can choose this type of design. Paid or premium themes on the other hand have an advantage since they have more features and options than the free themes. Regardless of whether you’re going for paid or free ones, what’s important is your website or blog design suits your taste and matches the contents of your blog. Depending on the content of your blog or website, your theme can either make or break it. You should consider this concern thoroughly, especially, if you built your blog or website for business purposes. The most important thing to consider when your blog is related to business is its responsiveness. Responsive web design means the design of the web should be adaptable to all devices since they vary in screen resolutions, platforms, and environments. With this, there is no need for creating a new and separate design specifically for iPads or smartphones. Since smartphones and iPads are much more handy than laptops, anyone can access your website anytime and anywhere, so it is a wise move to make sure that your website or blog has a responsive web design. 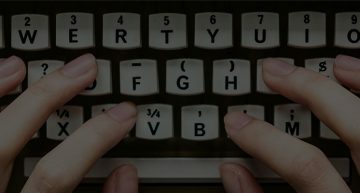 Now that there are lots of blogging sites on the internet, thousands of themes are made available for users. Some blogs’ contents are actually about customized themes, and some take (free or paid) requests for a more personal style. But if you are looking for a platform that is easy to operate and design, WordPress may just be your best option. Like other blogging platforms, WordPress has also lots of themes to choose from. The only difference is WordPress themes are much easier to use. Below are some of the best free and premium WordPress themes for 2018. 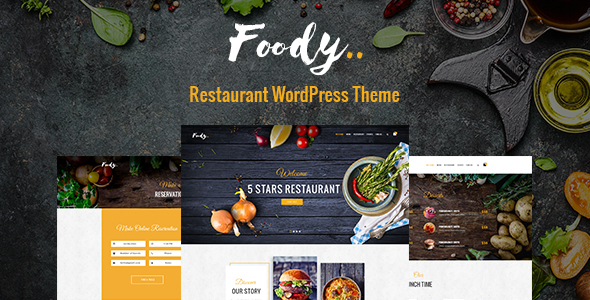 This ultra responsive premium theme developed by Jewel Theme is made for those who have a restaurant and other food-related business. Since it is ultra responsive, your website can be accessed through different kinds of devices. 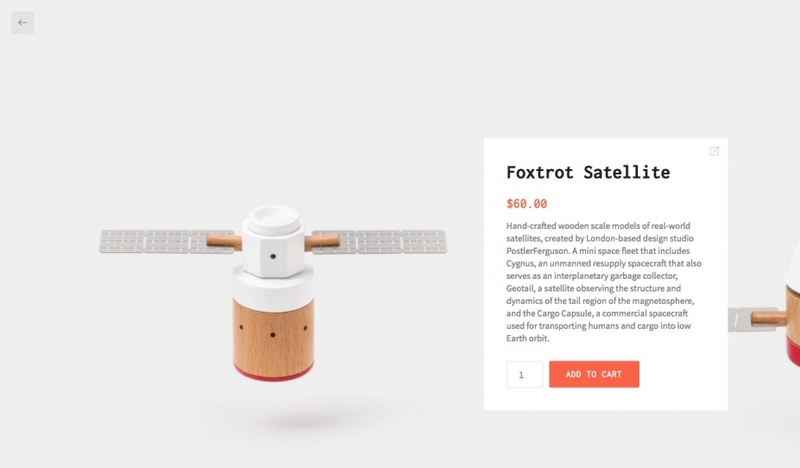 Its features include a revolution slider plugin to display your contents in a beautiful way. If you have little to no knowledge of HTML and CSS coding, this one will be good for you since this theme can be customized without coding; you can easily change the font face and color. Another feature is the custom contact form; you may include your restaurant’s official Facebook or Twitter account. As for the overall appearance, you may display the photos of your bestsellers, your menus, and a form for reservations (number of chairs for your dining space, what kinds of occasion you’re celebrating, and your food preference). This also includes a shopping page for your customers who have no time to go out of their home or office, so having this feature on your website will be convenient for them. Developed by MotoPress, this is specifically designed for hotel establishments like villas, hostels, apartments and the like and has a built-in booking system. It is also responsive so customers can view what your hotel has to offer, and book reservations even from mobile phones. Like the foody theme, Oceanica doesn’t need coding so you can fully and easily customize your front page with unlimited colors, menus, and layouts. You may include a list of your hotel rooms, services, and activities for your customers. Additionally, a hotel booking engine is included for free, specifying the dates of check-in, check-out, and the numbers of adults and children who will register for the service. One advantage of the developing technology today is its usefulness in businessmen. Social networking sites are also used for selling things online, so even small businesses can reach their clients anywhere. Thankfully, WordPress’ ShopApp theme by Quema Labs is made for that. 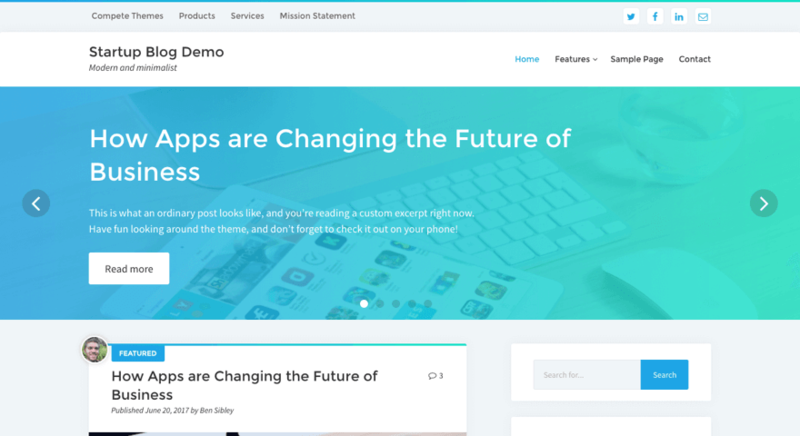 Like the first two themes mentioned above, ShopApp doesn’t require coding skills, so sellers can focus on their business than on designing their website which can be time-consuming. This theme will make your site stand out because of its unique animation and it is easy to use due to the simplicity of its design. If you are into music or a member of a band, then this premium theme made by Mint Themes is best for you. This is ideal for budding and already popular musicians especially when promoting songs. Its features include slick homepage layout and sliders for a beautiful animated homepage or banner. You can also include your band’s member infos, photos, videos, gigs, tour dates, blogs, and mp3 streaming with online stores. This theme also comes with WooCommerce, an eCommerce WordPress plugin which you can use for selling your albums, mp3s, t-shirts, and any other merchandise your band has. 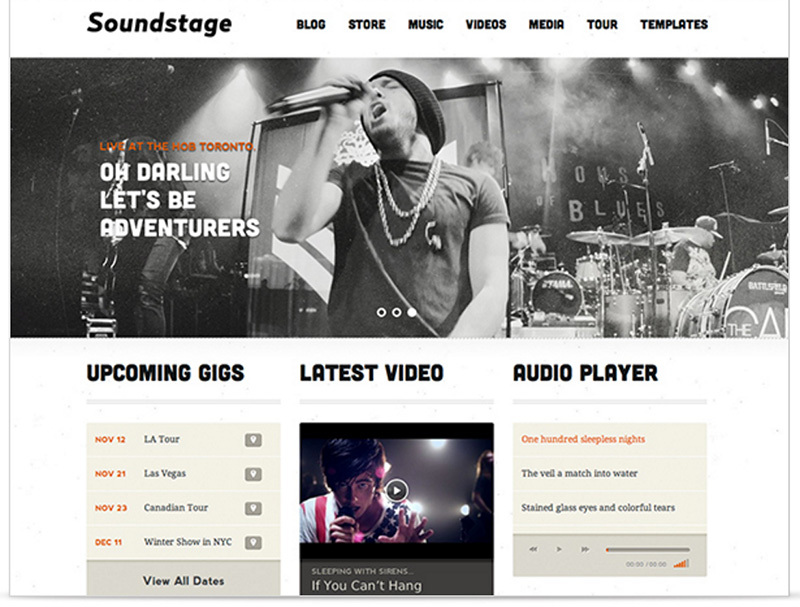 Capture your audience’s hearts and get a good impression by using this theme. 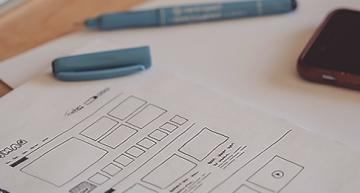 Setting up your website or blog’s design can be as fast as five seconds… or less! The Colorway theme by InkThemes magically makes your website attractive with just a click on the ‘Activate’ button under WordPress Dashboard. The only thing left for you to do is to edit and add your own text and images and you’re good to go. Furthermore, this theme is responsive so you and the others can view it on any platform or devices. 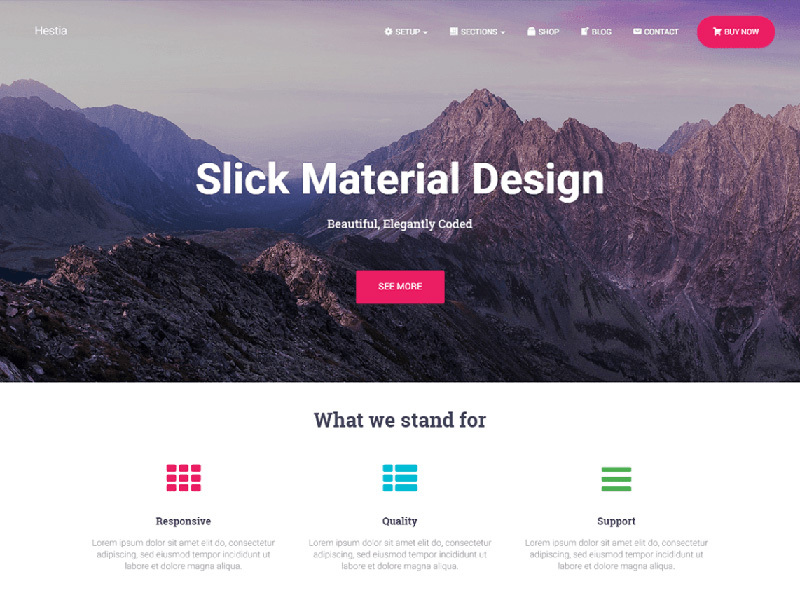 If you are busy with other things and can’t focus on designing your site, then this theme is a great choice for you. 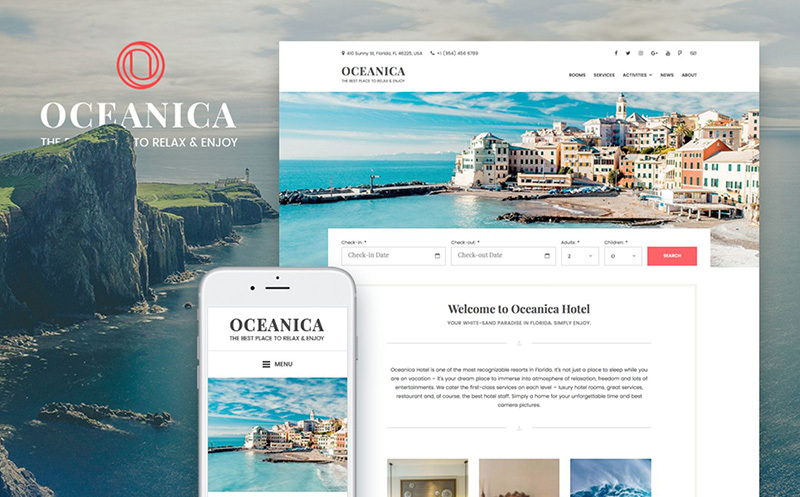 If you’re a hotel owner and you’re looking for a free WordPress theme, this one is the best for you. 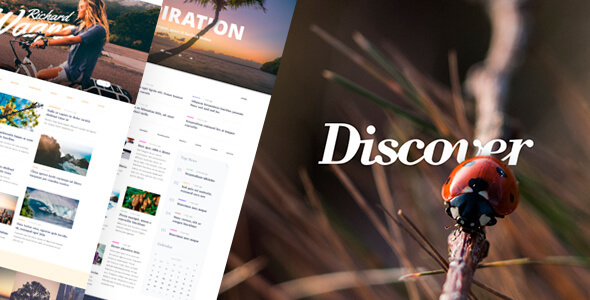 The Discover theme by Theme Location has several features which is similar to some premium themes. With this responsive theme, you can include pictures of your hotel rooms for customers to see and activities that they may engage themselves into while staying at your hotel. You can also put testimonials on your homepage to attract more clients. This also features drag and drop page builder, unlimited sidebars, room booking and contact pages. Aside from the website itself, you can include a blog to add more info or events for your hotel. Using this simple theme made by ThemeIsle can be installed in less than a minute. And because it has an SEO-friendly feature, this can be helpful in your website or blog if you are just starting your business and you want it to be known online. With this theme, you can customize your website’s background with any media you want to use, may it be a photo or a video. Another good thing about this is you don’t have to manually update this theme since you can update the look of your website and upgrade its performance in just a click. You will be surprised not only by its features but also by the fact that these premium-like features will cost you nothing. Judging by its name, you can already guess that this theme is friendly for everyone, especially to those who just started blogging. This responsive theme made by Compete Themes has a simple and clean layout, so the attention is put on your content. You can put photos you want to highlight on your site’s banner, and your posts are already displayed on the homepage. This theme also includes the Recent Post and Tags features on the sidebar to easily locate and look for the posts you want to read again or check. If you are the type of combining modern and minimal theme for your site, then you should choose this free theme. 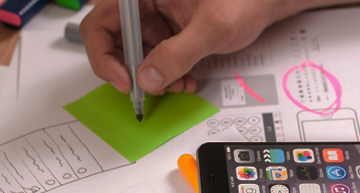 Yes, your blog or website content matters, and so does their design. Impressing people with how attractive your website or blog appear may help you in gaining more customers and clients for your business, after all, first impressions always last.